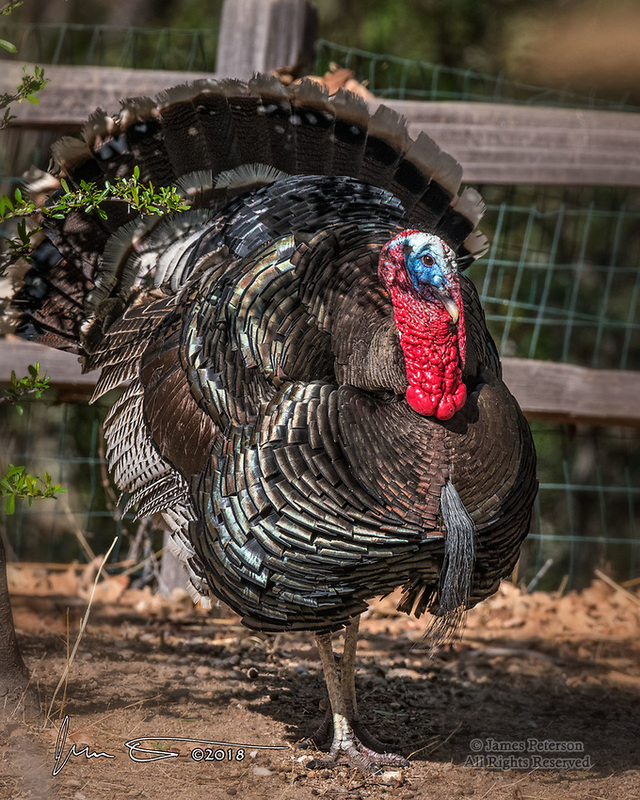 Wild Turkey, Madera Canyon, Arizona ©2018 James D Peterson. This robust fellow decided to flaunt his mojo in the direction of a few females we were observing and photographing in the Santa Rita Mountains last spring. They weren't overly impressed - but we were!